Each year, Credit Union Magazine recognizes the credit union movement’s Rock Stars: Those unique, innovative people who excel in their areas of expertise—and by doing so make our movement better. With the list of 2018 winners being recently released, we were excited to see some familiar names of individuals who are also Credit Union Development Educators (DEs). While the Foundation’s Credit Union Development Education (CUDE) Program is designed to provide credit union professionals with hands-on learning about credit union history, principles and philosophy, it also has a heavy focus on impact. Impact not only within the organization, but in the community and in the lives of the members we serve everyday. 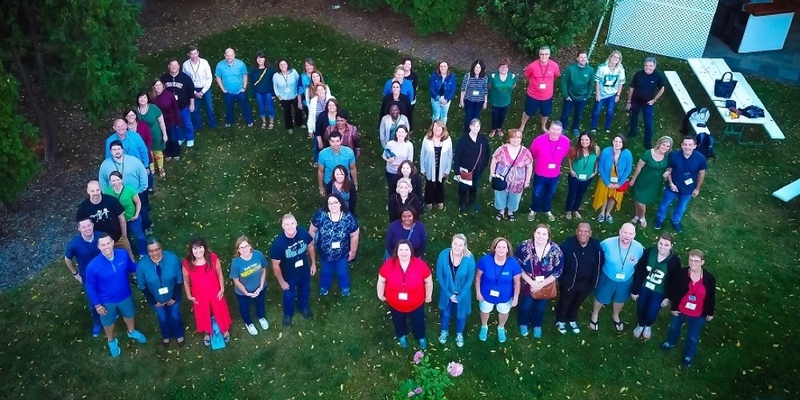 DEs are tasked with putting the lessons they’ve learned around empathy into action to make a difference – and that is exactly what is seen through these CU Rock Stars! First off, we are so proud of the Foundation’s Senior Program Manager, Andy Johnson, for being named a CU Rock Star this year! Andy has been working hard to train credit union professionals to put themselves into members’ shoes and meet them where they are in life. Congratulations Andy! Read more about his accomplishments here. Andy is also a DE from the Class of 2016.